These packages include green fees, caddy fees & round trip transfers. ♦ RATES: Our discounted rates shown above are in Thai baht and are for 1 golfer. They are applicable until 31st October 2019 but are subject to change without notice. or... you can pay for your GOLF PACKAGE with us which includes your green fees, compulsory caddy fees and transfers (hotel-golf course-hotel). 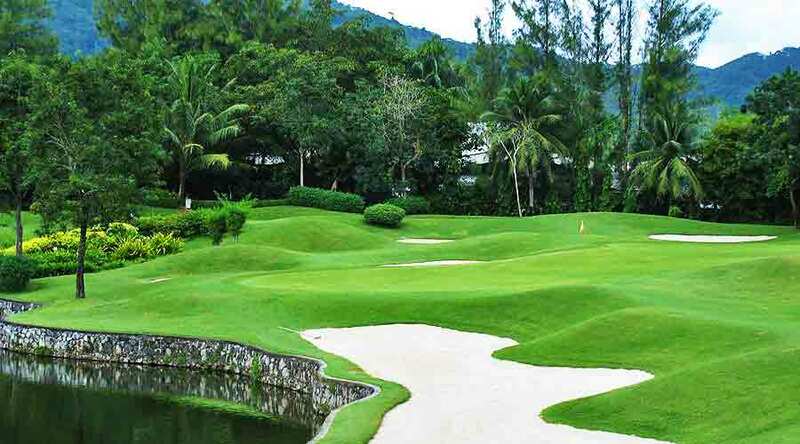 ♦ PHUKET GOLF PACKAGE: Package rates shown above include green fee, caddy fee & transfers. ♦ CADDY FEES: Caddies are compulsory at all of Phukets golf courses. 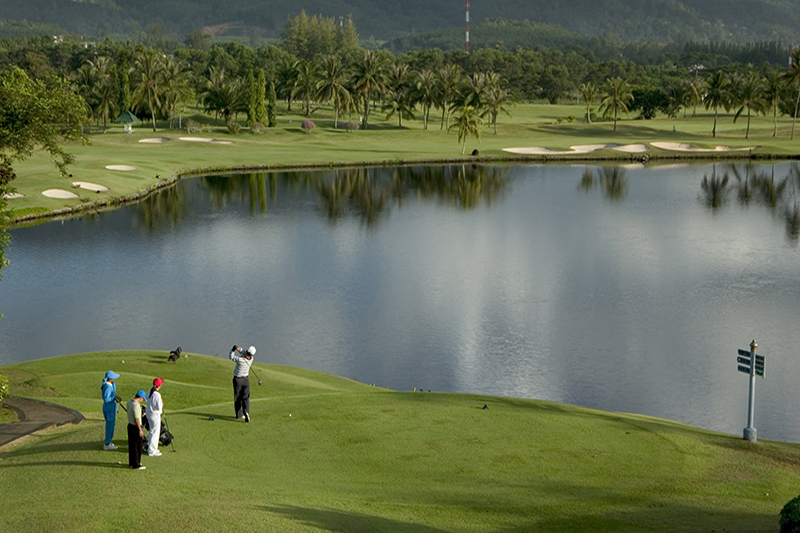 Your caddy fee of 400 baht is included in your 'golf package'. If you have purchased a 'green fee only' you will need to pay the caddy fee direct to the golf club pro shop. ♦ CADDY TIPS: These gratuities are NOT included in your golf package! 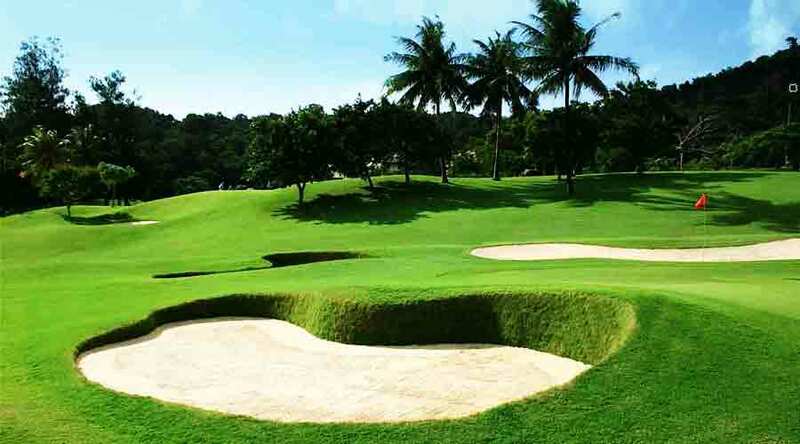 Phuket Country Club recommends a caddy tip from 400 baht payable direct to the caddy after the game. 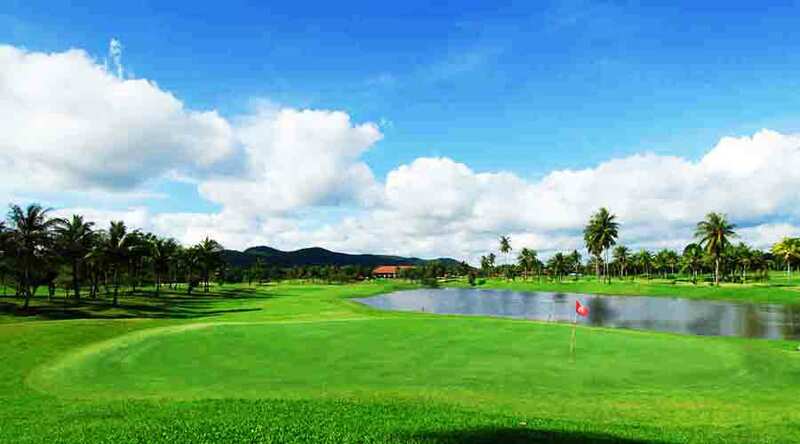 ♦ NON-GOLFERS: Non golfers accompanying golfers must pay a 'Non-golfer fee' of 700 baht direct to the golf club. Non golfers are expected to dress appropriate to the golf course (correct golf attire). 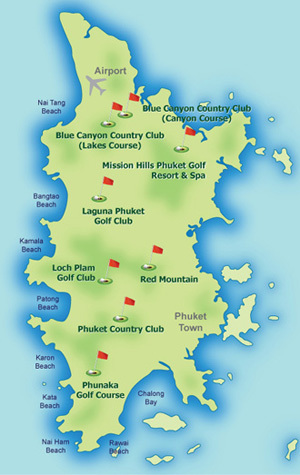 ♦ RAIN CHECK POLICY: No 'rain check' is provided by Phuket Country Club! 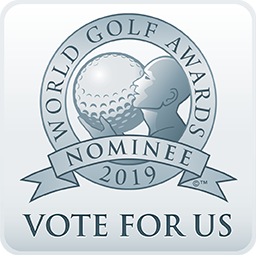 In operation for over 20 years, this 18-hole, par-72 course has matured into its surroundings, offering golfers a picturesque and rewarding experience, popular with high handicappers due to its large and forgiving fairways. Low handicappers can also enjoy the courses from the Championship tees over a total distance of 6,484 yards. 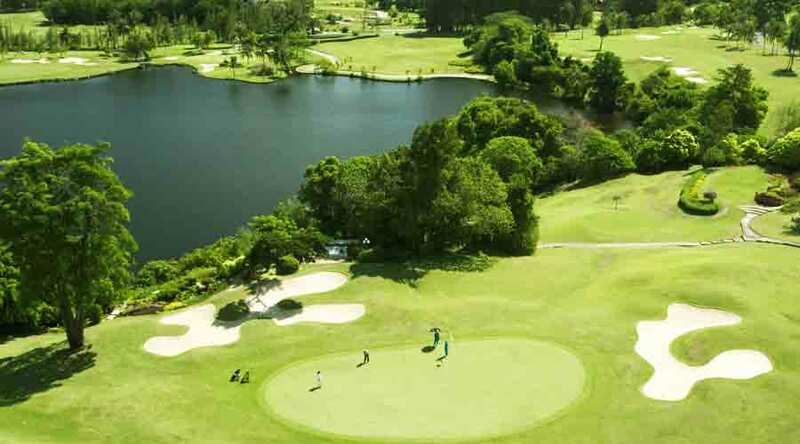 With a variety of holes with undulating fairways with lots of mature trees, alongside a large lake and plenty of bunkers, thePhuket Country Club is located in Kathu, just a 10-minute drive from Patong Beach and has long been known as one of the most forgiving courses on the island. 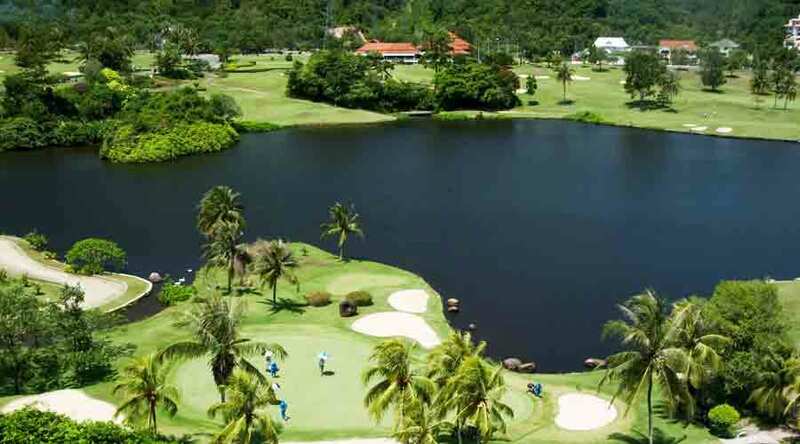 If you are looking for a game of golf in Phuket that combines high quality conditions with a very golfer-friendly attitude, both on and off the course, The Old Course at Phuket Country Club is essential playing. Set amidst a valley in Kathu, the course is known for its gentle hills, subtle greens and great opportunities to score pars. Set across 6,483 yards, the course is not the longest on the island, which benefits medium range hitters and those who hit the ball straight. The front nine holes weave their way through undulating and testing holes with tight tee shots, until you reach the short back-to-back par-4s on the 6th and 7th, with elevated tee-offs that are great par opportunities but also bring the jungle terrain into play, so you have been warned. The back-nine is much flatter and kicks off with the drivable par-5 10th hole, which is the signature hole (see below) and is the ultimate risk-reward hole. On the back-9, the 16th and 17th bring water hazards into play, with the latter being a stunning par-3 with an island green, which is the ultimate score-breaker. The course is always in great condition and the clubhouse facilities include a restaurant with amazing elevated views overlooking the 18th green, which really is a great place to relax and unwind after a round. You will also find lots of practice putting greens, tennis courts, a swimming pool, changing rooms and a pro shop. 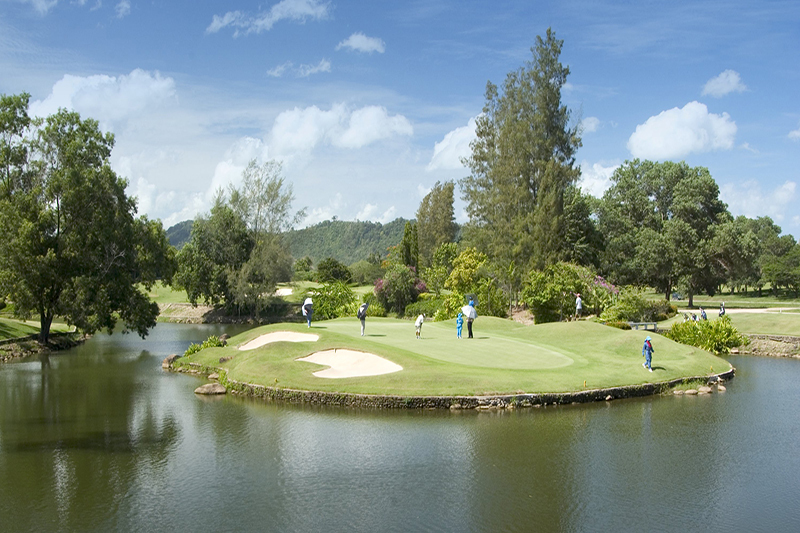 The 10th hole at Phuket Country Club is one of the most unique holes in Thailand. This drivable par-5 is the ultimate risk/reward hole. The hole works its way around a U-shape 180 degree fairway that nestles against a lake and is 557 yards in length. You can take the normal par-5 approach or opt to try and drive the green across the lake with over a 300 yard carry. Long hitters usually go straight for the green and a rare albatross opportunity, making this one of the most unique golf holes in SE Asia. Distance from Patong: 8 Km.